The Archers (Michael Powell & Emeric Pressburger) were probably the most successful British movie makers of all time. Pressburger wrote the screenplays in close collaboration with Powell. Pressburger also acted as the producer more than Powell who did most of the directing. Pressburger was also involved in the editing and the selection of the music due to the fact that he was a musician as well as a writer. 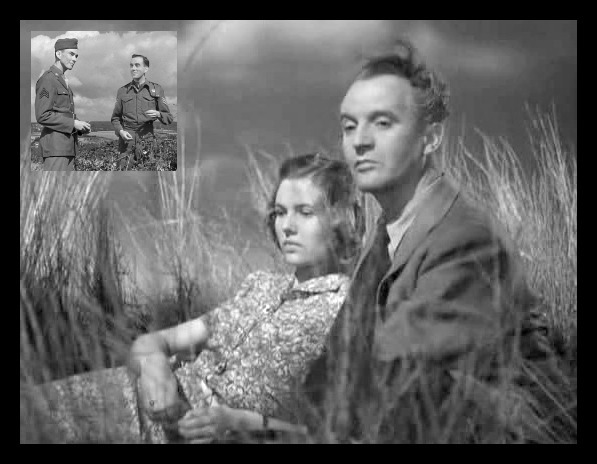 The Archers collaborated to produce a number of patriotic movies during World War Two. 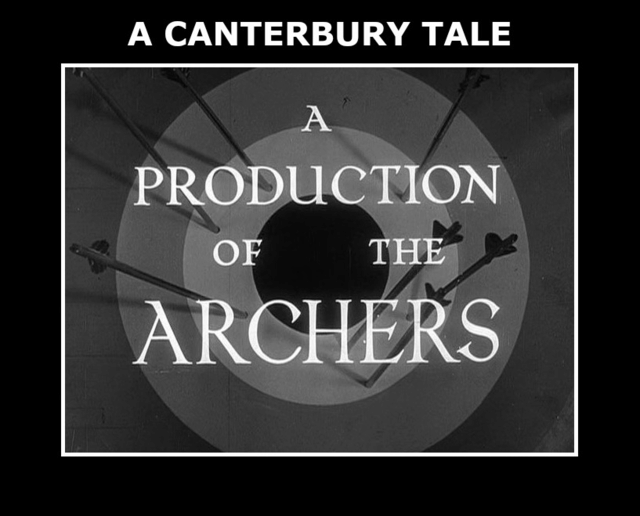 However, the British Army refused to cooperate with the production of A Canterbury Tale and even Winston Churchill thought the movie would damage morale. Powell was born in 1905 in Bekesbourne, England. He attended the King's School in Canterbury during World War One. Much of ACT is a cinematic tribute to the traditional English culture of Powell's homeland showing scenes of the beautiful Kent countryside and the Pilgrims Way. The movie is very much about Powell's love of his birthplace and all that he felt about England with its rich prodigious history. "Six hundred years have passed. What would they see, Dan Chaucer and his goodly company? Today the hills and valleys are the same. Gone are the forests since the enclosures came. Hedgerows have sprung. The land is under plow, And orchards bloom with blossom on the bough. Sussex and Kent are like a garden fair, But sheep still graze upon the ridges there. The Pilgrims Way still winds above the weald, Through wood and break and many a fertile ﬁeld. But though so little’s changed since Chaucer’s day, Another kind of pilgrim walks the way. Alas, when on our pilgrimage we wend, We modern pilgrims see no journey’s end. Gone are the ring of hooves, the creak of wheel. Down in the valley runs our road of steel. No genial host at sinking of the sun welcomes us in. Our journey’s just begun." Within A Canterbury Tale's timeless landscape, the primary distinction between the fourteenth and twentieth centuries arises not from the land, but from a change in the life of its people. The narrator tells us, "Another kind of pilgrim walks the way," illustrating how soldiers disrupt England's pastoral tranquility, yet at the same time are essential for its defence. An example of the change that is seen after 600 years is a shot of a bird of prey transforming into a Spitfire and then soldiers riding in Universal Carriers. ACT celebrates England for its pastoral past and depicts its characters seeking to preserve that pastoralism while nonetheless proclaiming modern military as a necessary evil in achieving that aim. The narrator goes on to say, "We modern pilgrims see no journey's end," diagnosing mankind as spiritually blind. 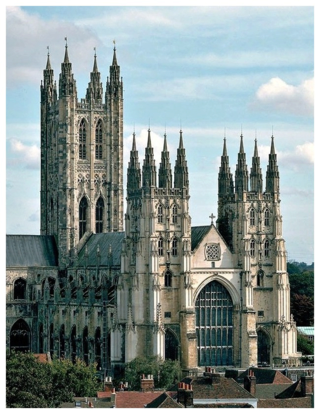 Like the unchanged hills and orchards, Canterbury Cathedral still stands for all to see, but war threatens that pastoral backdrop which prohibits contemporary pilgrims from reaching their journey's end. Later in the movie, we witness medieval England collide with a troubled modern world when Alison Smith rebukes Sergeant Peter Gibbs who is patrolling with his men in Universal Carriers, "What's the idea of frightening my horse? Why don't you keep your beastly carriers off the Pilgrims Road?" Alison's obvious indignation at war's disruption of her traditional bucolic life is understandable in that pastoralism encourages relaxed pleasures rather than military discipline. When Alison Smith asks policeman Bertie Bassett why he will not search the Town Hall where the Glue Man has ﬂed, he replies, "You leave that to us, miss. We may be slow in Chillingbourne compared with London ways, but we know our duty and we have our methods." Defending his village against any criticism regarding its ability to protect its citizens, Bassett upholds the virtue of his small town police force in comparison to London's greater manpower. Within that pastoral mystery, the surname Bassett underlines his connection to the natural world, in that he manifests all the crime ﬁghting powers of a basset hound. A human avatar of the natural world, Bassett uniﬁes the opposed genres of pastoral and mystery, and again endorses small town life when he states, "This is Chillingbourne, Sergeant Johnson, not Chicago." Thus the residents of Chillingbourne proudly proclaim their idyllic virtue in contrast to the rampant violence of large cities. 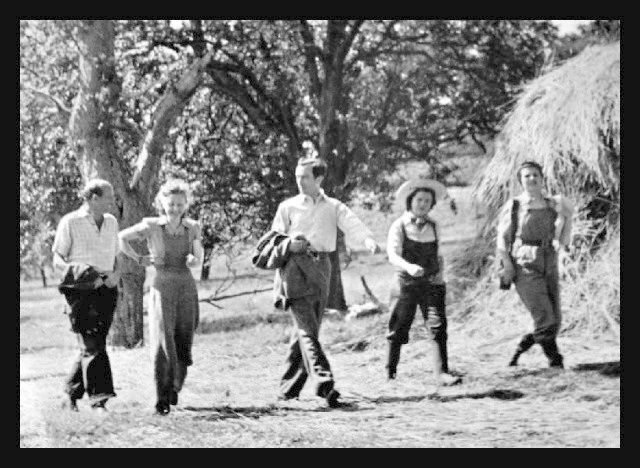 Michael Powell and his wife Frankie with Dennis Price, Betty Jardine, and Sheila Sim at Elbridge Farm. A Canterbury Tale favours country life in its comparison to city life. 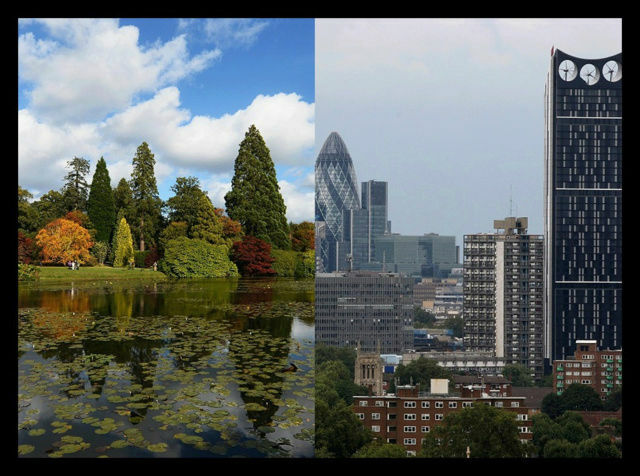 The scene on the hill is worth mentioning showing two of the characters with their very much contrasting lives with one living in the beautiful country while the other existing in the ugly city. "Breathing the air, smelling the earth, watching the clouds." "What would you be doing this afternoon in London if there wasn't any war?" "Reading, playing cards with the boys, waiting for the pubs to open." 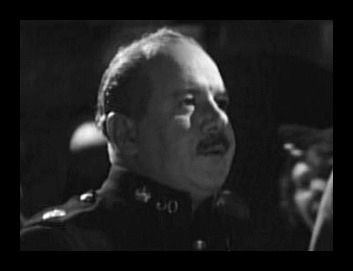 In Chillingbourne Town Hall, Sergeant Bob Johnson tells Colpeper of his penchant for seeing movies, "It's a great thing to sit back in an armchair and watch the world go by in front of you." Colpeper scoffs at Bob's shallow thinking, "The drawback is Sergeant Johnson, the people may get used to looking at the world from a sitting position. When they really do pass through it they don't see anything." Bob's cinema life is in sharp contrast to nature loving Colpeper who prefers to watch the clouds sailing by while lying flat on his back. He reviles what he sees as the blank passivity of mass cinema spectatorship and the inauthentic nature of distributed duplicated images. After Bob indicates his intention to visit Canterbury Cathedral, Colpeper facetiously tells him, "Do look out for it, it's just behind the movie theatre, you can't miss it." It's important to understand that Colpeper's lectures are actually a passionate address to the cinema audience of A Canterbury Tale urging them to see the real thing. The pastoralism of A Canterbury Tale not only criticizes city life for its criminality, but also for its capitalism. Crime is an evil means of acquiring possessions, but capitalism diverts people from pastoral pleasures which would otherwise enrich their spirits. ACT privileges medieval artisans and their modern descendants in sequences featuring their shared traditions, such as when Bob Johnson and the wheelwright Jim Horton discuss trees. The two men not only bridge the cultural divide between America and England, but also the time gap between England's medieval past and its present way of life. Bob goes on to condemn greedy capitalists who "Can't stand to see their money lie idle a piece." Within pastoral thought, idleness is not a vice, but a virtue because it allows its rural celebrants to enjoy nature's restorative beauties. Through that idleness, communion is possible when communication might otherwise fail. By their joint appreciation of timber, the two men establish a pastoral community that respects honest labour, yet is devoid of unfettered capitalism. 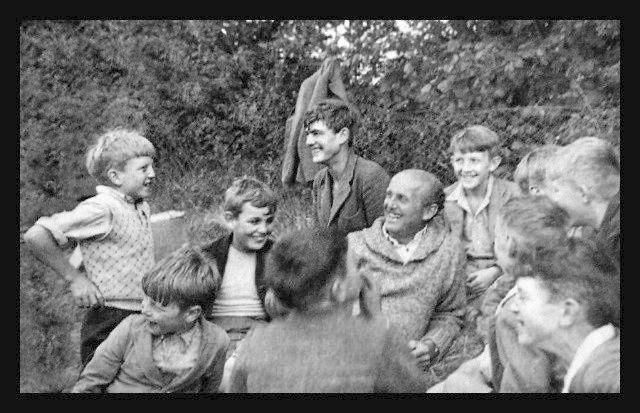 Michael Powell and the boys waiting to shoot the river battle scene. 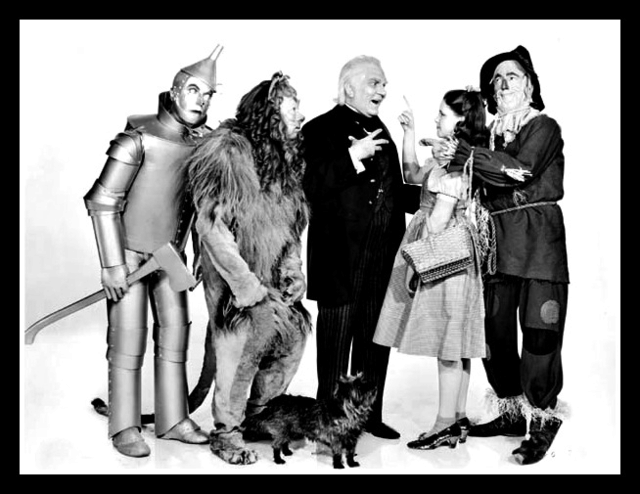 The Wizard of Oz is mirrored in A Canterbury Tale by symbolic structure and there are many similarities between the two movies. Both productions show four main characters - one female and three males who are on their way to a great city where wonderful things can happen. The protagonists travel together, but each one makes the journey for their own reason. The Pilgrims Road in ACT leads to the Cathedral City while the Yellow Brick Road in Oz leads to the Emerald City. The sight Alison Smith gets of Canterbury Cathedral from a distance is like the first view Dorothy Gale gets of the Palace of Oz. Both the recently unmasked Glue Man and Wizard try to help their respective fellow travellers in achieving their wishes. 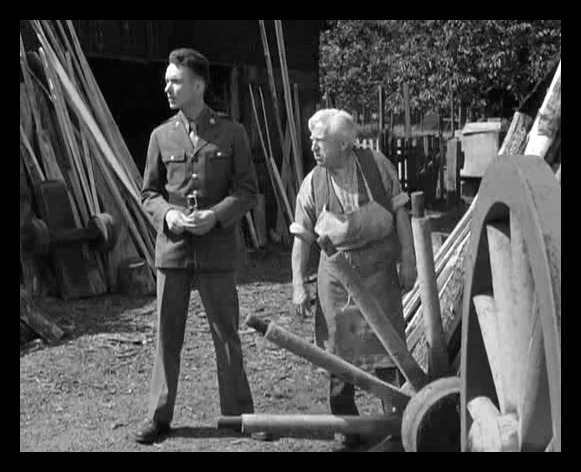 In the original ACT script, but deleted from the movie, there was a scene in the Chillingbourne army camp where the capture of Colpeper is announced and a soldier then sings "Heigh-Ho, the Glue Man's dead" to the Oz tune of "Ding Dong, the witch is dead." The main difference between ACT and Oz is that the Pilgrims Road and the Cathedral City are real unlike the Yellow Brick Road and the Emerald City which never existed. 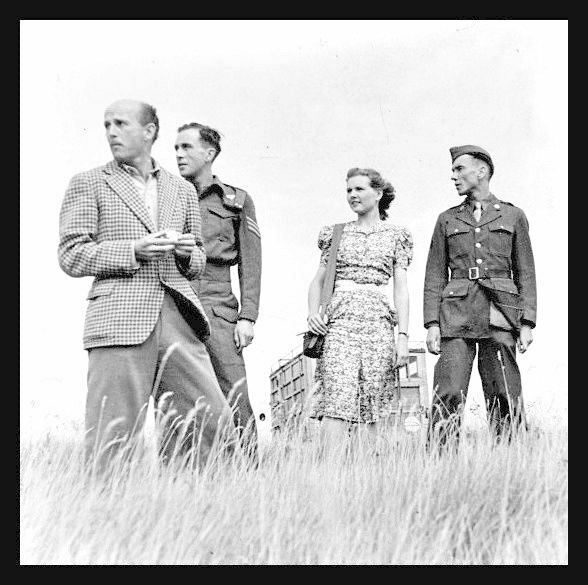 Michael Powell prepares to direct Dennis Price, Sheila Sim, and John Sweet for the long grass scene on Chilmans Down. There is a powerful reminder in A Canterbury Tale of how war interrupts traditional bucolic life when we see our protagonists on the hill. Colpeper and Alison are relaxing in the long grass enjoying a glorious view of Kent when they hear the sounds of war as personified in the appearance of Sergeant Bob Johnson and Sergeant Peter Gibbs. The two allied soldiers unwittingly disturb the tranquility of the nature loving couple who represent pastoral England during World War Two. Colpeper's sense of the pastoral is one in which England's Middle Ages illuminates present rural life giving it meaning. 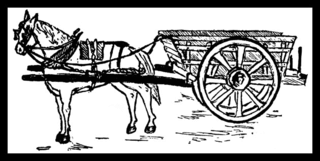 He believes by travelling on Chaucer's famous road, modern man re-enacts the rites of the old pilgrims and thus reacquaints himself with the past. Bob Johnson initially derides the relevance of the Middle Ages to the present after Alison is attacked by the Glue Man. He sarcastically tells Sergeant Bassett, "While you're looking us up in the Domesday Book, he's making a getaway." Likewise, Peter Gibbs ridicules Colpeper for "Digging up stuff which 600 years ago was thrown out as junk." At his institute, Colpeper lectures the soldiers of the importance of embracing the historical pastoral: "Well, there are more ways than one of getting close to your ancestors. Follow the old road, and as you walk, think of them and of the old England." With the projector casting a white light around his head, Colpeper hypnotically theorizes the past's enduring presence: "And when I turn the BEND in the road where they too saw the towers of Canterbury, I feel I've only to turn my head to see them on the road behind me." Alison's face expresses an almost palpable response to his evocative words underlining how the woman whom he attacked as the Glue Man most appreciates his wisdom. Alison and Colpeper surpass their roles as victim and perpetrator and inspire each other with their visions of gender and history. In the ﬁnal analysis, the real mystery of A Canterbury Tale concerns not the Glue Man, but rather the Middle Age's luminous potential to live today. PLAY VIDEO AT A VERY LOW VOLUME. ACT DVD CAN BE PURCHASED FROM EBAY. This excellent book by Paul Tritton on the making of ACT can be purchased on the second hand market. 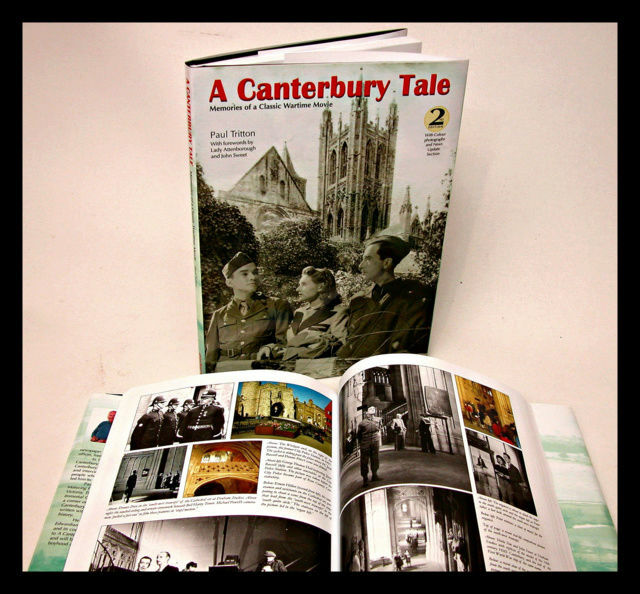 A Canterbury Tale is a proficient narrator of the history of Kent being entangled in World War Two. The movie appeals to the people of Kent and England in general because it's telling the story of the ups and downs they have been through historically. It was part of the efforts in advance of the D-Day landings in 1944 to bring about a greater understanding of the American forces in the southern part of England. ACT has been described as one of the most loving and tender movies ever made about England. It's a movie that's steeped in history and nature; a reaffirmation of the English character and culture from a time when many viewers may have wondered whether that underpinning had come to an end. 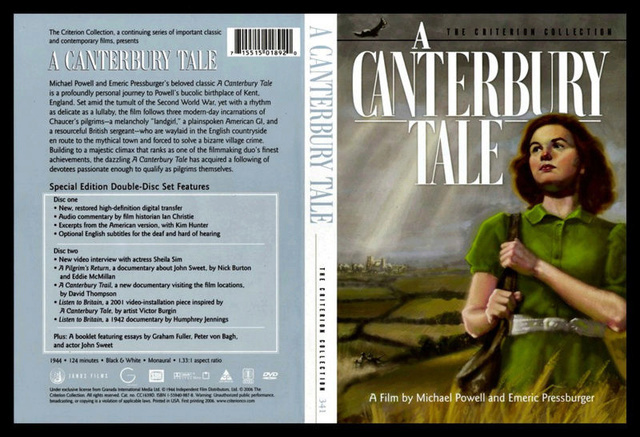 The visual style of A Canterbury Tale is a mixture of British Realism and German Expressionism, but is harnessed to a Neo-Romantic sense of the English landscape. World War Two provided an appropriate cultural climate for the movies of Powell & Pressburger in a similar way to a number of paintings executed by Neo-Romantics. Both movies and paintings are visual media and it is through perception that they are evaluated. The common ground between movies and paintings lie in the fact that they are both framed. Both also contain elements which can have similarities in tone, space, colour, line, mass, scale, including light and shade. By using those elements in various combinations, they possess a number of emotional potentials. 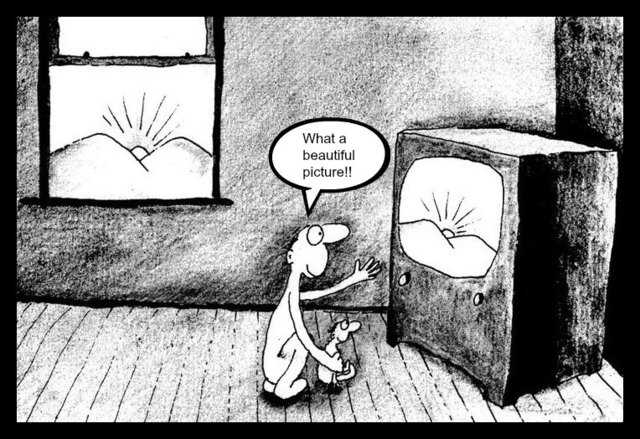 The framing device employed in a movie or a painting acts as a process of selection for the spectator. A similar effect to that of the cinematograph can be obtained by watching a mirror in which a street scene is reflected. It at once takes on a visionary quality, and we become true spectators, not selecting what we will see, but seeing everything equally. Thereby we come to notice a number of appearances and relations of appearances, which would have otherwise escaped our notice. The frame of the mirror turns the reflected scene from one that belongs to our actual life into one that belongs to our imaginative life. The presence of the frame defines the spectator's image and the composition within the frame. The same principles apply to both movies and paintings. The compositional unity of a painting contributes to the power of its image. Other compositional equivalents between movies and paintings lie in the use of setting. The British landscape has long been used as an appropriate subject matter in painting, either as a result of nostalgic impulses or for patriotic purposes. By the 1940's, the Neo-Romantics, which included movie makers, were realising the potential of the landscape as a means of expressing an inner vision. The concern was less with the countryside itself than with the emotive landscape in the mind of the artist or director. 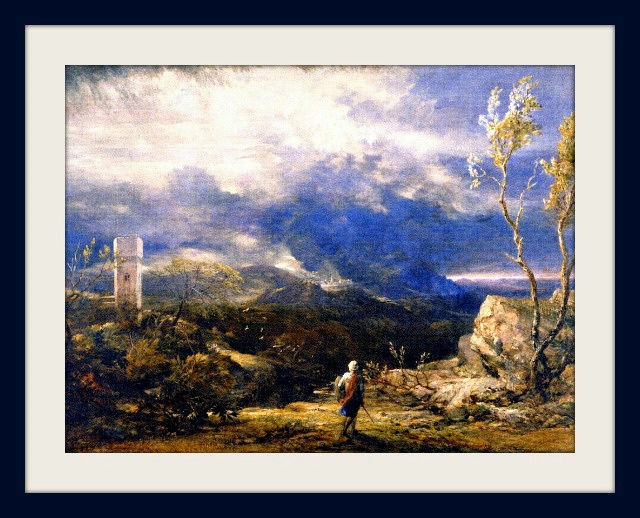 Neo-Romantic settings consist of mountainous landscapes, angry skies, and lone figures dwarfed by their surroundings. Lighting can create mood, emotion, and atmosphere which are relevant. The contrast between light and shade creates chiaroscuro and that can emphasise solidity and form, thereby guiding an audience response. 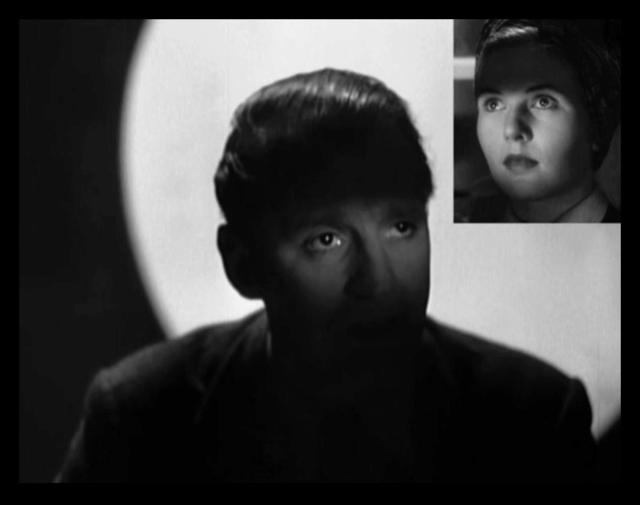 Movies use lighting set-ups to manipulate the image on the screen. In a similar way, an artist uses colour to create light and shade which has a corresponding effect. Lighting in both movies and paintings provide a basis for observation, investigation, and analysis which relies on the senses and emotion rather than emphasising narrative significance. In ACT, Powell & Pressburger brilliantly portrayed the past existing in the present in the English landscape. They successfully recorded the English home front during World War Two, giving the cinema audience a nostalgic vision of an important national heritage at a time of crisis.